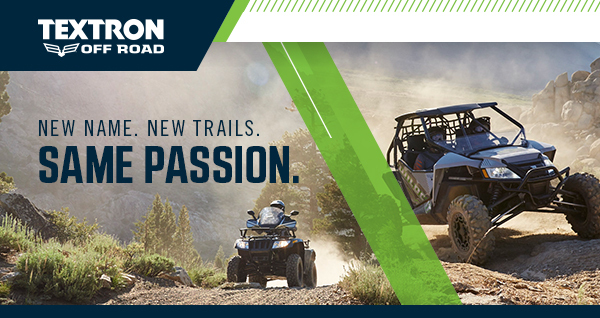 Arctic Cat is now part of Textron, a leader in defense and industrial manufacturing with a legacy of power, performance and precision engineering. While the high-performance snowmobiles you know and love will continue to carry the Arctic Cat name, our side-by-sides and ATVs (like Alterra™, Prowler™ and Wildcat™) are now part of Textron Off Road. Manufacturing of Arctic Cat vehicles will remain in Thief River Falls, MN, and will expand with the addition of Textron Off Road products like the Stampede™ side-by-side.